Location: In Piazza del Viminale, about 7 short blocks west from Termini train station. 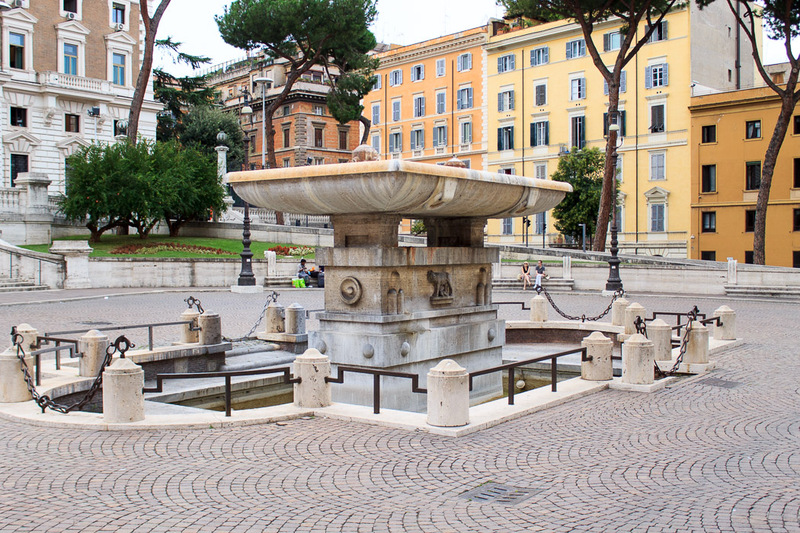 The Viminale Fountain has a rather large, very shallow rectangular bowl at the top from which water gushes and overflows into a pool slightly below ground level. 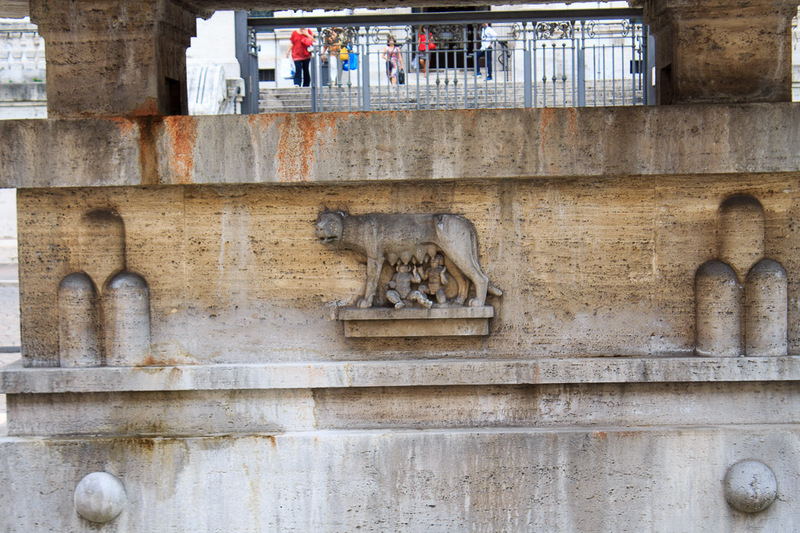 The bowl is supported by a rectangular base, decorated with bas-reliefs depicting the symbol of the three surrounding mountains, and the She-Wolf. When I visited, no water was flowing. 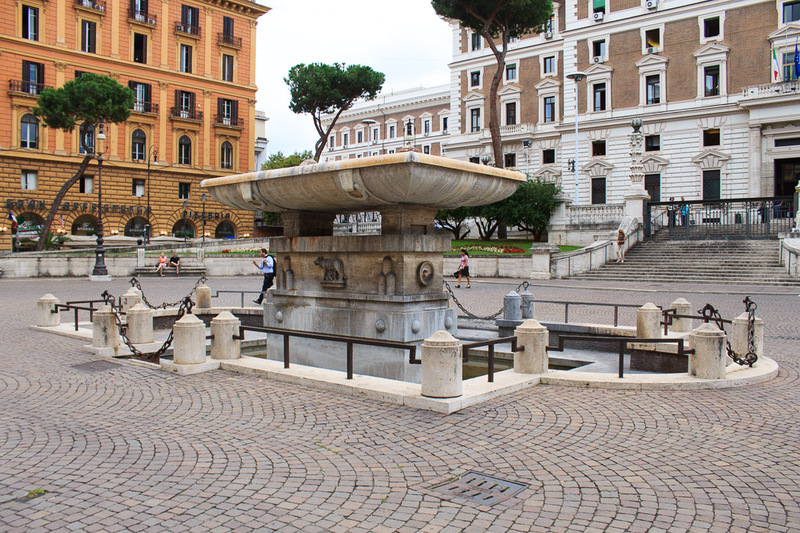 See all Viminale Fountain photos.